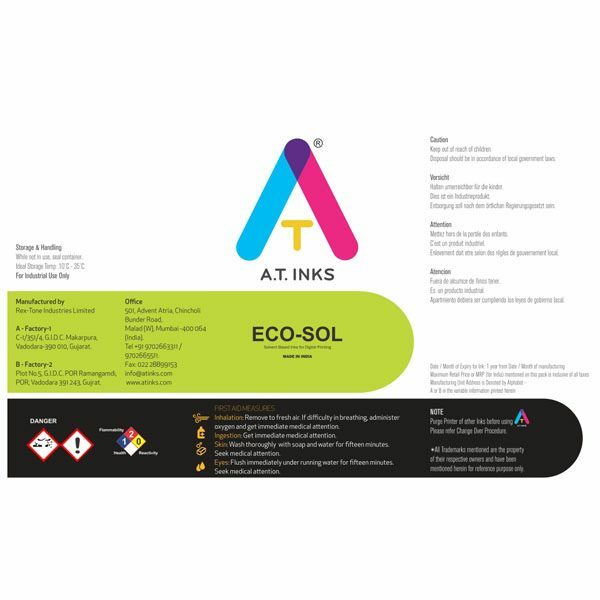 AT Inks, Eco-Solvent Range of Inks are inks designed specifically for the Epson* Printheads. Epson* Printheads provide excellent resolution, however, these printheads are delicate Piezo devices and need very mild solvents to give long life. They are dependent on a Damper system and a ink delivery system which is specially designed. All of these requirements, create a need to design a separate and an Eco-Solvent system for Epson* Printheads. 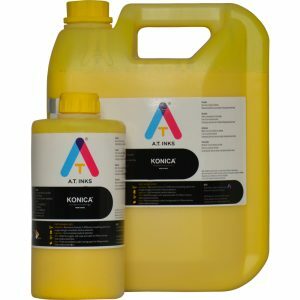 AT Inks, Eco-Solvent Inks can be used on Epson* DX4, DX5, DX7 and DX10 Printheads as they are popularly known. 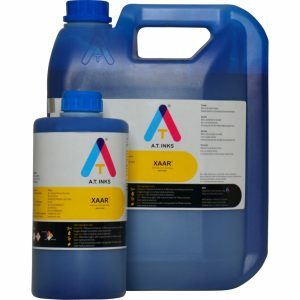 The inks are available as Eco Sol Max and Eco Sol DX Grades.